This Christmas why don’t you treat yourself and your loved ones to a hand printed gift! 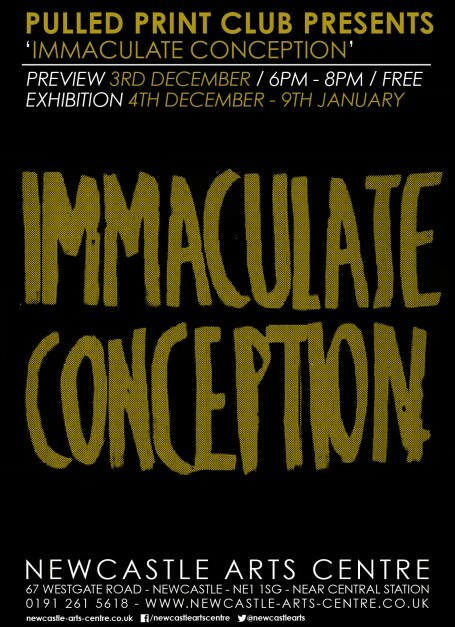 This year pulled print club is teaming up with a range of artists and independent print studios from across the north east (and a few Londoners) to present “immaculate conception”. Inspired by the love of printmaking and the rise of the analogue process, pulled print club guarantees a range of talents from screen-print to letterpress and paper to fabric. Please be our guest and give your eyes a treat and support your local print exhibition.